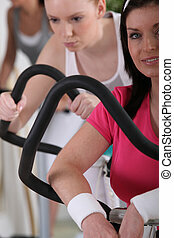 Athletic blonde woman using press machine in gym. 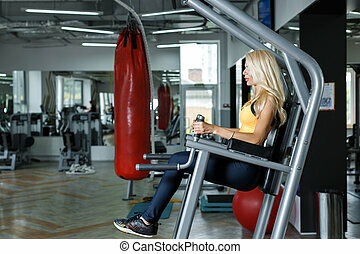 Athletic blonde woman using press machine in the gym. Athletic blonde woman in sportswear posing near the legs press machine in a gym. Athletic blonde woman in sportswear posing near the legs press machine in the gym. 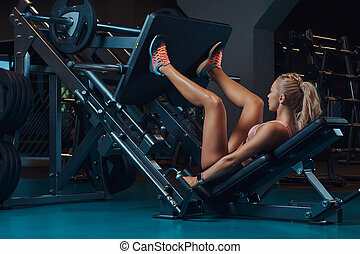 Athletic blonde woman in sportswear is lying on a legs press machine in a gym. 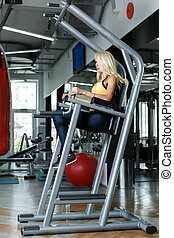 Athletic blonde woman in sportswear doing exercise on the legs press machine in a gym.